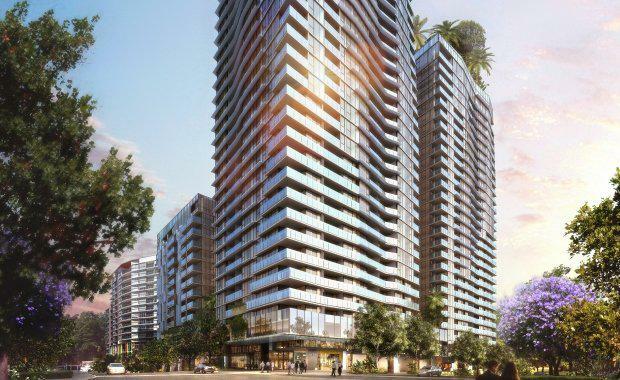 Sales at R&F Properties South Brisbane development Brisbane 1 have passed the $50 million milestone with exceptionally strong interest from the local market, the company said. More than 70 apartments in the residential precinct have been sold since public launch last week with more than 90 per cent of sales coming from local buyers in the greater Brisbane region. The majority of apartments sold were one and two bedroom, indicating that couples, downsizers and first-home-buyers from the local area are among the first to purchase at the development. The company said there had also been demand for the premium product with the $2.3 million dollar penthouse selling at launch. Jon Rivera, Project Director at CBRE Residential Projects Brisbane, said the project’s premium location and extensive range of apartment configurations had resulted in more than 30% per cent of apartments selling within the first stage of public launch. “In the weeks following launch we saw significant demand from both first time buyers and investors who are seeking the convenience of city living combined with ample space to create their dream home,” he said. “The mix of buyers is indicative of the diversity of product on offer within Brisbane 1. We registered and transacted a large proportion of downsizers and first home buyers although we also saw a strong investor component. The $400 million development will pave the way for future investment into the Brisbane market by the Chinese-based construction powerhouse with R&F Properties confirming it has acquired two further sites to be developed in 2016. R&F Properties Deputy Manager Vincent Chen said that the company was excited about the first stage results. “The positive sentiment shown from both local and interstate buyers so far is a positive indicator for our continued success in the Australian market,” he said. Boasting resort-style amenities and quality design from renowned architects Bureau Proberts, Brisbane 1 will soon be South Brisbane’s tallest residential towers housing more than 600 one, two and three bedroom apartments and a selection of retail amenities at its 1 Cordelia Street location. Mr Chen added that he expected to see the positive momentum continue into 2016 as interstate and international buyers and investors increasingly set their sights on Brisbane. “We’re excited to see our strong sales continue over the coming months and look forward to announcing the construction start date early in the New Year,” he said. Brisbane 1 apartments start at $345,000 for a one-bedroom, $598,000 for a two-bedroom and $1,140,000 for a three bedroom, with the on-site sales office now open.